Learn about the history of Iceland, the Viking settlers, the origin of the Sagas, the Icelandic name system, common phrases, its preservation in connection with the Icelandic sagas, the Icelanders‘ struggle for independence and much more. All this is mixed with an assortment of the absolute best traditional Icelandic dishes. We start the sessions, day and evening, with an introduction to Icelandic culture and history. You will also learn about the Icelandic alphabet and useful practicalities like how to say hello and goodbye, order coffee, a pint of beer or simply to say thank you in Icelandic among many other useful phrases which you would use while you are in the country. After the introduction to Icelandic history and culture we will relax and enjoy the wonderful view over the Reykjavík seaside while having a traditional Icelandic meal and chatting about anything you wish to know about Iceland and everyday life. 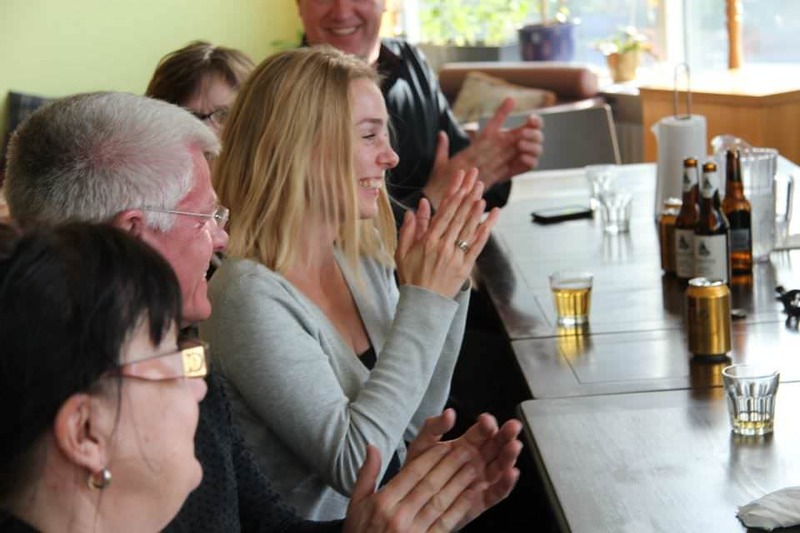 In the day session, we will taste the traditional afternoon meal in Iceland including geyser-baked bread, Icelandic bread and cake, coffee, homemade Icelandic jam, cream, organic herbal tea, Icelandic beer and the national holiday beverage. 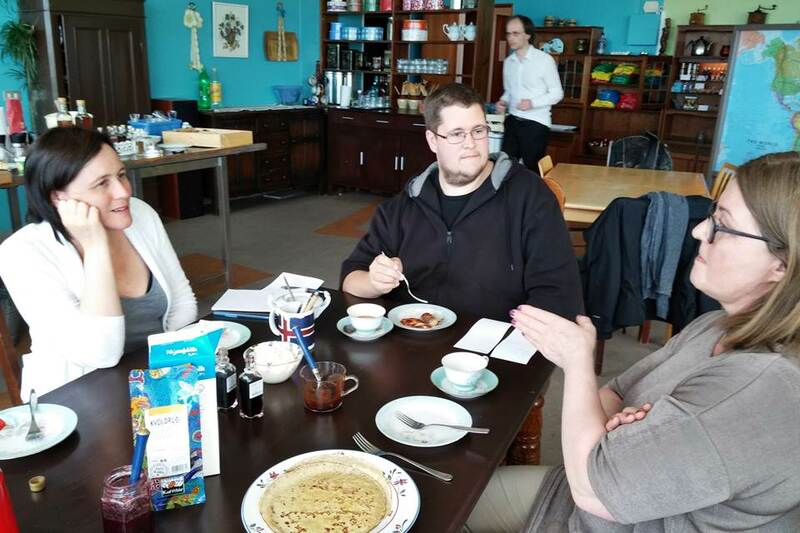 You will listen different Icelandic stories and learn the history of cakes and bread in Iceland and have the occasion to make your own Icelandic pancake using 40, 60 or even 80 years old pancake-pans. 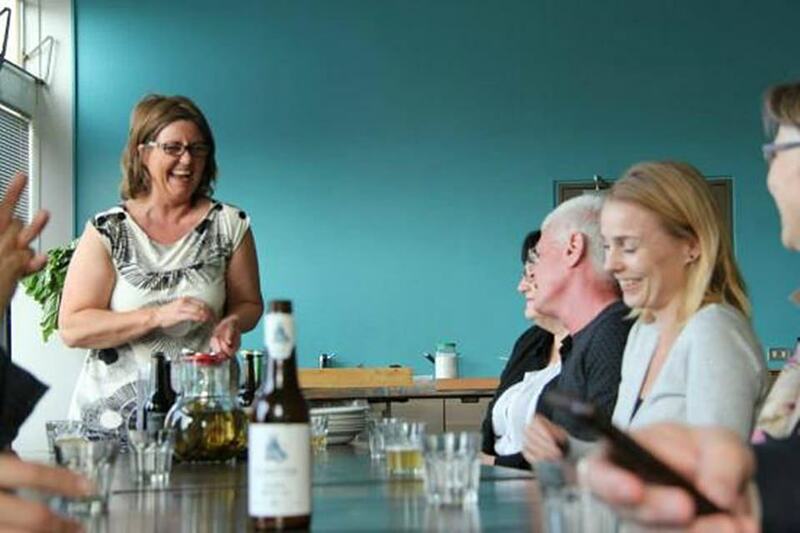 If you come to the evening session at 6 pm, after the introduction to Icelandic history and culture, you will enjoy the best and authentic traditional Icelandic lamb soup with a varied selection of Icelandic beer. For dessert we offer Icelandic pancakes with homemade Icelandic jam and cream and you will have the opportunity to make your own, using a 40, 60 or 80 years old pancake-pans. Day session at 1:00 pm. Evening session at 6:00 pm. Special price for group of students. Please contact for details. 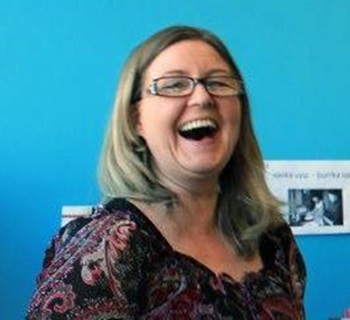 Hi, I am an Icelandic language teacher with over 25 years of experience. I would love to share with you my passion for languages, culture and history combined with everyday life, food and food culture. Time Please select an option Daytime session at 1:00 pm. Evening session at 6:00 pm. Available in German, French or Italian for groups of 4 people minimum. "This experience is one of the most fun, interesting, and enjoyable days ever. We were made to feel at home and were immediately welcomed by our hosts. The history was told to us through pictures and stories, and it was obvious that Icelanders take a huge pride and interest in their culture and roots. The food was amazing, made in the same way our host's grandmother had taught her as a child. The stories of her family and traditions were a joy. I would highly recommended this activity to anyone."